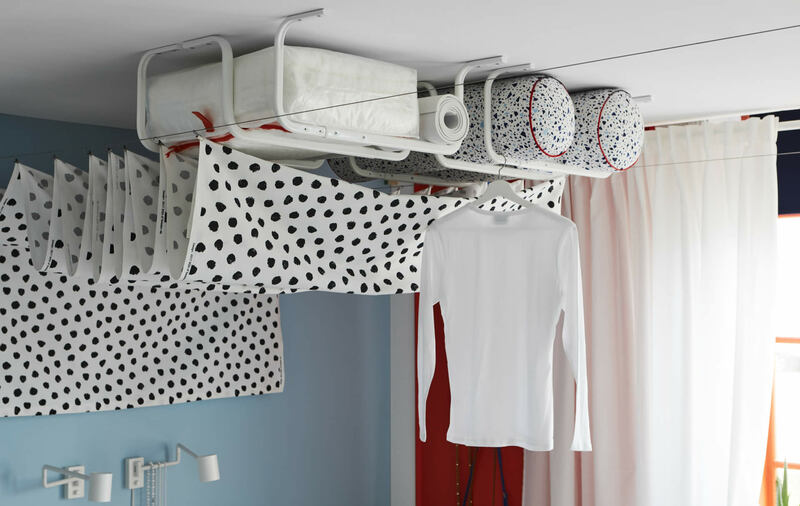 Here are some clever ways to turn unused bedroom spaces into pockets of possibility. 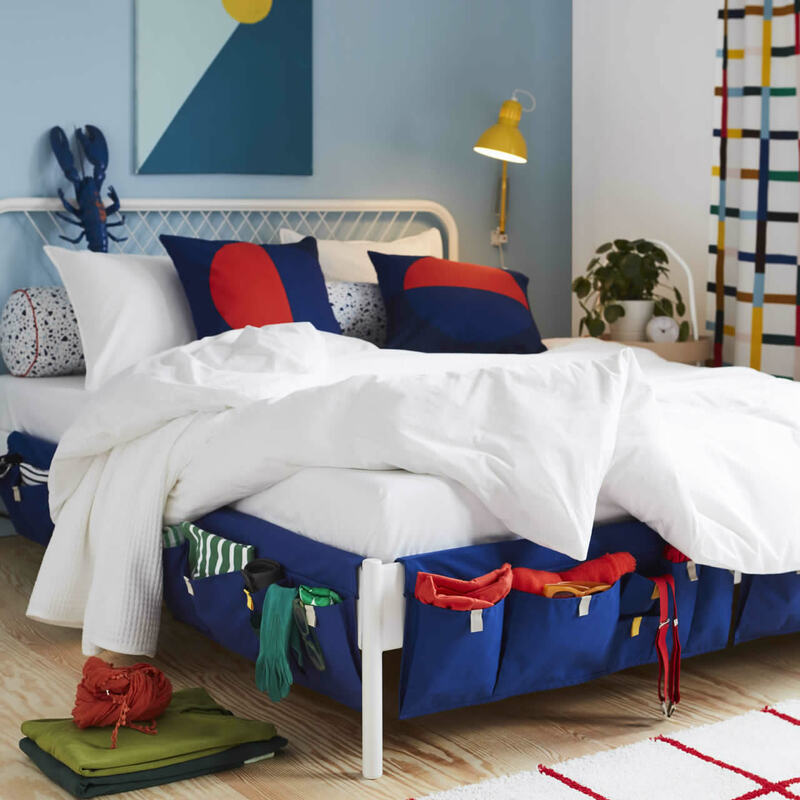 Besides forming a decorative lining around your bed, MÖJLIGHET bed pockets offer ample space to organise and hold things you want within easy reach. 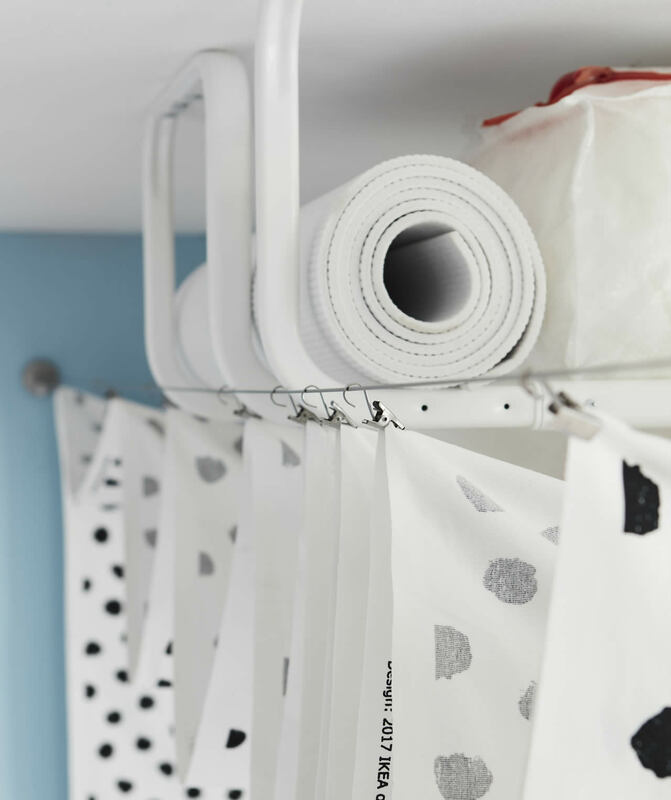 Arrange them by colour, activity or day of the week to keep track of what goes where. 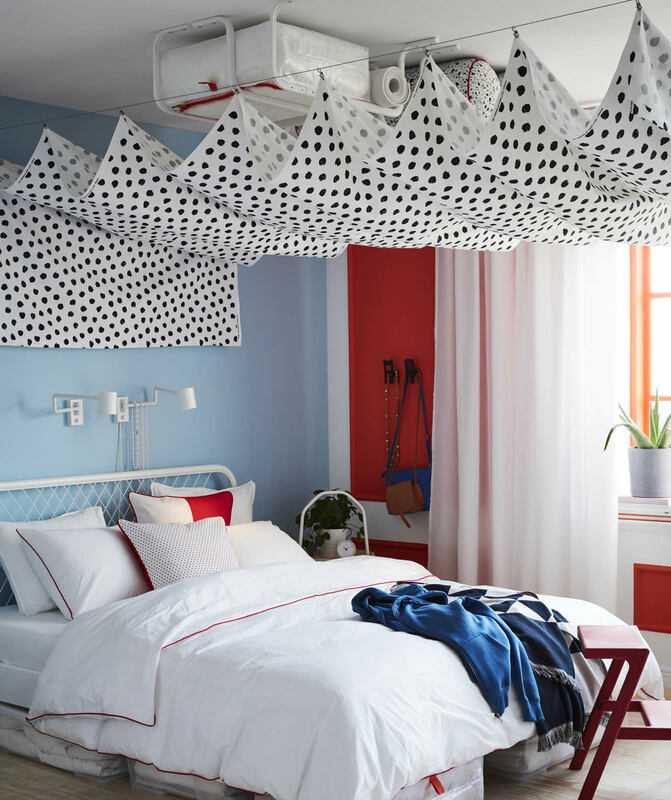 Is your curtain fabric just a little bit too long? Great! Sew the cut-off strip back on (only higher up) to form a row of convenient pockets. From hairbrushes to an extra pair of slippers, it’s all right where you need it. The flow of seasons tend to make some textiles unneeded for a portion of the year. 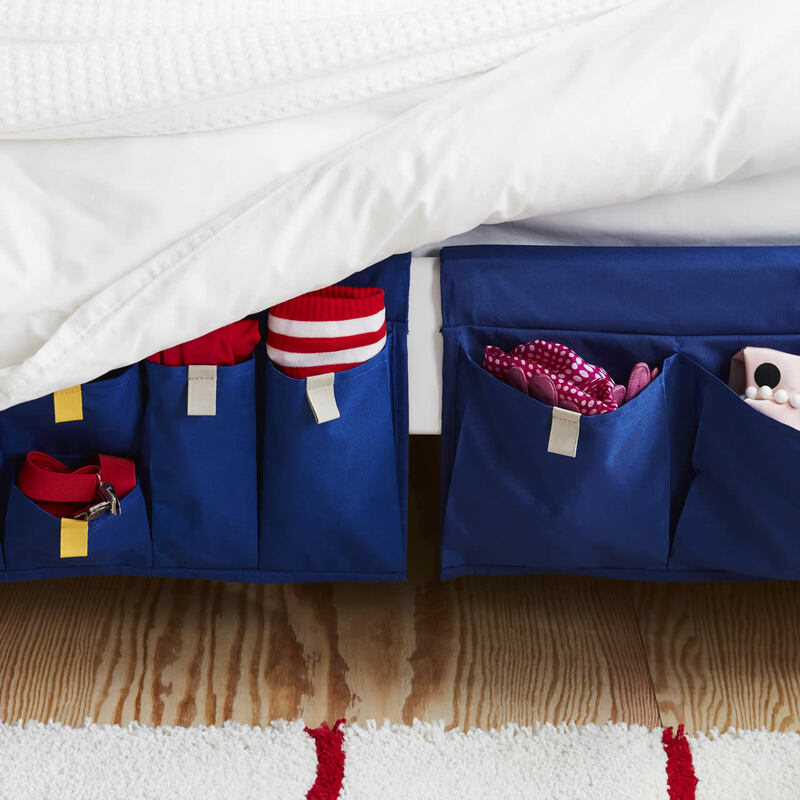 Put them to use as filling in empty cushion covers – and you can store them in (almost) plain sight in wait for next use.